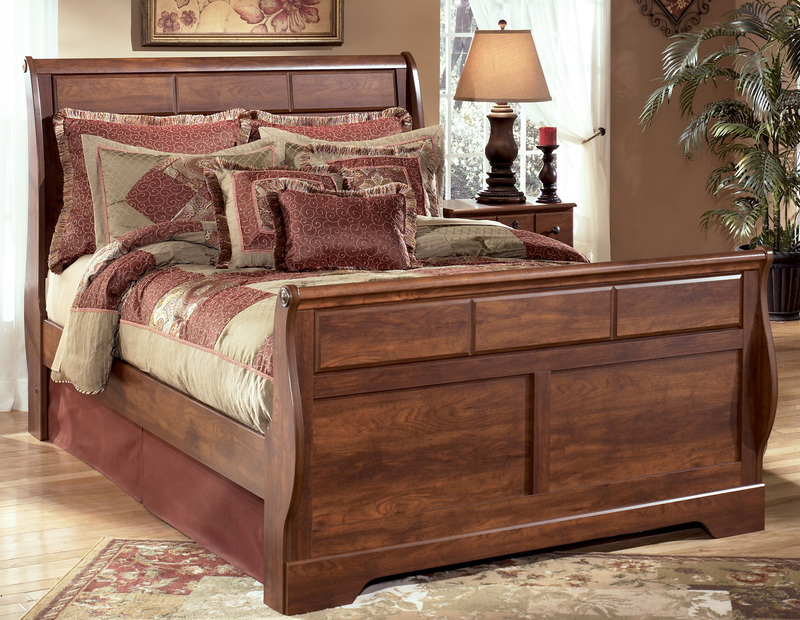 The Timberline Queen Sleigh Bed grasps the true beauty of country style furniture and brings it to your home. 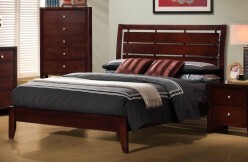 The replicated brown cherry grain is beautifully accented by the nicely scaled fretwork on the arched style of the headboard. 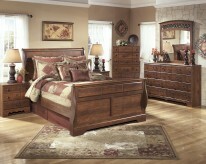 Dream sweet dreams within the beauty of the rich country styled Timberline Queen Sleigh Bed. 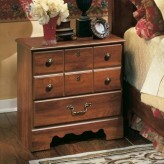 Underbed storage available (Optional). 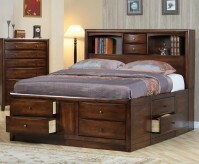 Furniture Nation is proud to offer the Timberline Queen Sleigh Bed online. 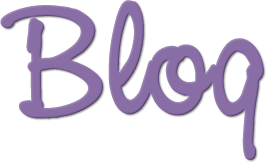 We serve customers across the DFW region including Weatherford, Carrollton, Desoto and many more. 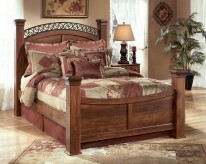 Timberline Queen Sleigh Bed : L63" x D94" x H53"